Has this ever happened to you? You’re having a perfectly normal conversation with your partner, and suddenly one of you gets triggered into an extreme reaction. It might be a hot volcanic explosion, or a cold freeze, completely shutting down the connection. We call this “Sudden Reaction Syndrome.” Perhaps you were talking about a chore to be done or a bill to be paid. Maybe it occurred during a simple discussion about an upcoming event, or another person. Without warning, and often without explanation, there’s yelling, blaming, bickering, or abrupt withdrawal. To change the nature of vicious reaction cycles, you need to understand trauma, which is usually at the core of Sudden Reaction Syndrome (SRS). In clinical literature, the severe form is called Post-Traumatic Stress Disorder (PTSD). Every couple gets reactive from time to time. If blow-ups happen frequently, and don’t get resolved, it’s important to learn as much as you can about SRS. Sudden reactions often have their roots in past traumatic experiences. When something traumatic happens to a person (especially a child), it gets stored in a kind of hyper-sensitive memory compartment. For the rest of that person’s life, anything that looks or feels similar to the traumatic incident can easily wrench open the compartment and unleash the hidden feelings, and the response to those feelings. The result can look and feel like a whirlwind of out-of-control behavior (for some people), or an abrupt shutting down of expression (for others). It can also appear as a mixture of the two. In groundbreaking research called the Adverse Childhood Experiences Study, Kaiser Permanente and the Center for Disease Control surveyed more than 17,000 people to gauge the impact of traumatic and stressful childhood experiences on later adult health. … and there are additional categories. The study concluded that adverse childhood experiences can have many significant impacts on later adult health. The more trauma a child experiences, the more likely that they will have a personality or stress disorders (such as depression and isolation) later in life. In addition, the more likely they will experience a variety of physical ailments, including obesity and heart disease in their adulthood. In a related field, two decades of research on the neuroscience of attachment reveal that childhood traumas, especially those caused by a parent, can cause significant difficulties in one’s adult relationships, years or decades later. Childhood traumas range from very mild to very severe. Trauma is not always an overt or deliberate act of violation. It can be caused by normal life circumstances (such as overhearing their parents fight or talk about divorce) that leaves the child feeling frightened or threatened. If the trauma isn’t ever resolved, it lives inside the child like an injury to the psyche. Frequently, parents unconsciously repeat the patterns of their own past, because they carry their own trauma from childhood. In previous generations, it was fairly common for parents to verbally control or threaten their children into submission, or use physical violence to punish them. An adult who was traumatized in childhood is more likely to traumatize his or her own child. Even the most caring parents can unintentionally cause a trauma reaction in their children. A mild version may be caused by a parent’s emotional or physical neglect consistently. The parent may simply be overwhelmed with other responsibilities, challenges, or hardships. The parent could be unaware of the child’s unending needs, or unable to care for them. Some children have built-in resilience, and are able to resolve many of these experiences within their own psyche. They may get help from another parent or caregiver who can help them understand what happened to them. For other children, a series of experiences in which they feel neglected or abandoned can impact them deeply, with significant consequences on their self-image and ability to handle the world. In our practice, we see many couples who react to each other suddenly, without explanation, and out of proportion to what’s happening. When this occurs, we begin to hunt for the subconscious triggers that lie hidden in the mind, like landmines that were set and forgotten about long ago. If you watch infants and children carefully, you can see them employ many of these strategies when they get upset or scared. When the limbic brain takes over in a trauma reaction, it can take some time to return to feeling safe and secure. By the time we reach adulthood, most of our childhood experiences are buried deep in the subconscious. Our most traumatic memories can get triggered by anything that mimics the past danger – whether physical, emotional or mental. A harsh tone of voice or the hint of judgment can trigger the memory of a raging, frightening parent. Your partner’s sideways glance at another person may trigger the feeling of an indifferent parent who ignored you or rejected your pleas for help. Some children had to suppress their fears or reactions in order to avoid further abandonment or rejection, which doubles their potential reactivity. Defenses lurk just under the surface like landmines, primed to explode upon the slightest pressure. A conscious, relaxed adult may suddenly start feeling like a frightened child – desperate, out of control, ready to throw a tantrum. It makes no sense to the conscious adult mind, but it makes perfect sense to the primal inner child, who still lives deep within us. The good news is that these trauma-based dynamics are healable with the right professional support. Robert is reminded of his mother, who told him, when he was 7 years old, that he couldn’t go to his friend’s party. This caused him anguish and feelings of separation, loneliness, and being controlled. Janet hears these words in the same way she heard her father say something similar when he walked out the door when he abandoned the family, which caused years of chaos and uncertainty. She suddenly feels the same feelings: desperation, panic, and a sense of being abandoned. Janet responds to her feelings of rising panic by yelling, “You always do that to me!” She is reminded of all the times Robert pulled away or threatened to leave, and screams, “I hate you when you do that!” She escalates the drama by reminding him of all the times in the past when she felt abandoned. Robert feels completely overwhelmed, because his father often went on tirades about his behavior in his youth. He feels his own panic rising, and he reacts the same way he reacted to his father. He collapses into silence, looks down at the floor, and pulls into himself, waiting for the storm to pass. Janet sees his collapse, and this behavior reminds her of her father, who reacted the same way to her mother, just before he left the family. She reacts again…. … and a giant mess ensues. Neither partner is in a condition or position to help the other. They’ve both been hijacked by their subconscious neurological defense strategies, which helped them survive the perceived threats when they were young. If sudden reactions occur frequently in your relationship, either because one or both of you get triggered, there may be unresolved trauma issues lurking in your subconscious memory. 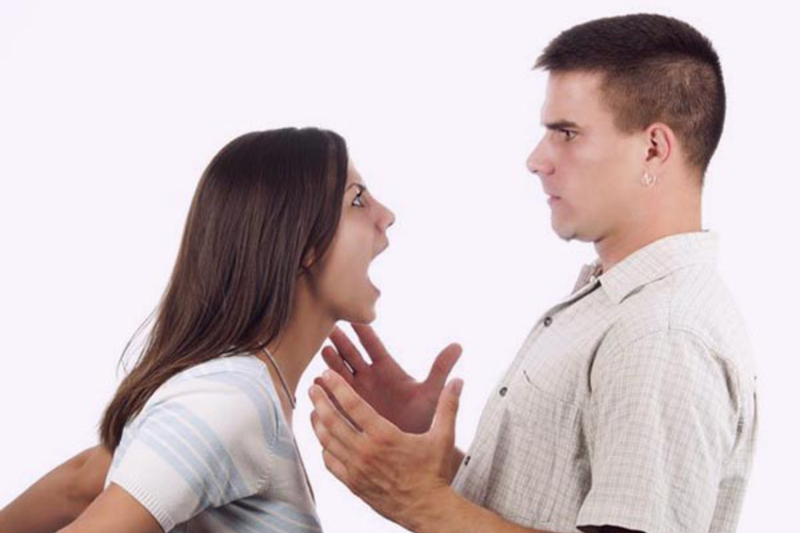 Until they’re resolved, Sudden Reaction Syndrome can easily disrupt the harmony and security in your relationship. We use the LoveStyle Profile Quiz™ to help our clients identify their primary childhood bonding pattern and survival strategies, which we call your LoveStyle™. When Sudden Reaction Syndrome occurs frequently and with extremes of behavior, one or both partners may have the Traumatic LoveStyle™. Take the free 5-minute LoveStyle Profile Quiz and discover your unique LoveStyle by clicking here. If Sudden Reaction Syndrome is causing suffering in your relationship, and you don’t know how to break the cycle, we strongly recommend reaching out for help from a professional trauma specialist. They can assess the impact that past traumas are having on you and any of your relationships. Whether you or your partner is the one who usually reacts first, educate yourselves about how to keep from being triggered. Learn how to bring each other back into a safe and calm state. Our program, 5 Keys to a Secure and Passionate Relationship, is a good place to start, especially if you study it together. As you can see from the ACE study statistics, you’re not alone. Around two-thirds of the people around you have at least one type of trauma in their past. The good news is, with the right support, you can learn to rewire your brain toward a safe and secure relationship. To learn more about the LoveStyles, visit our website, ConfusedAboutLove.com. Be sure to take the FREE LoveStyle Profile Quiz. Note: This article is intended to educate the public about the LoveStyles and the impact of childhood trauma. It is not designed to analyze your personality or provide professional diagnoses of medical or psychological disorders or diseases. It is not a substitute for professional advice. If you feel triggered or overwhelmed in a way you can’t resolve by yourself, contact a professional therapist, psychologist, or counselor who can help you address your concerns. This article explains much of what is happening in my current relationship. We need to read this together and then take the next step. My fingers are crossed. I have 2 adopted sons that I see this behavior in. Your article is very helpful for both understanding them and thoughts to guide them. Thank you. If you have for children on this issue please let me know.